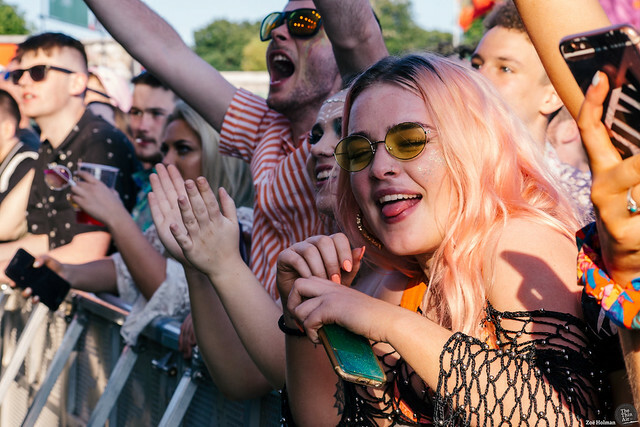 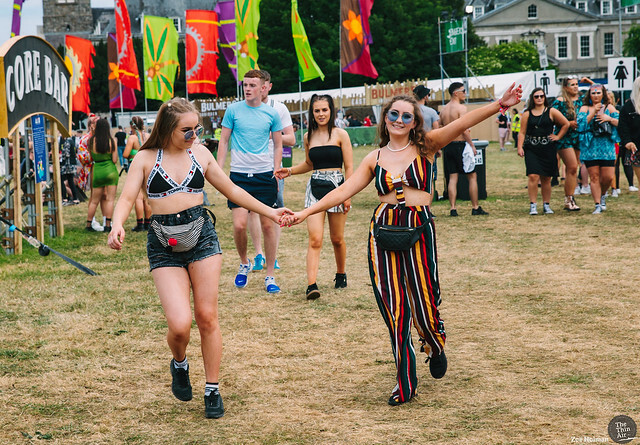 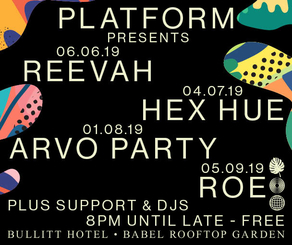 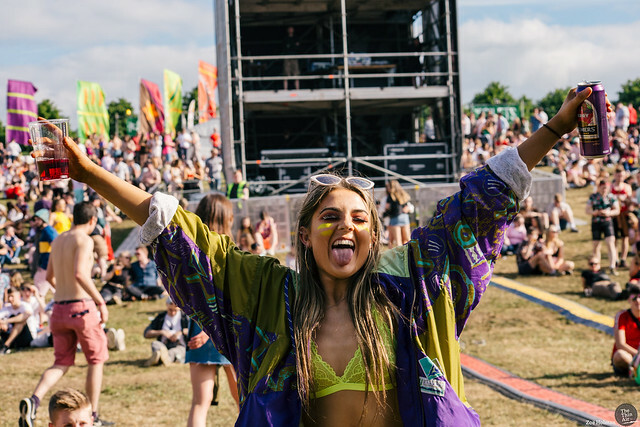 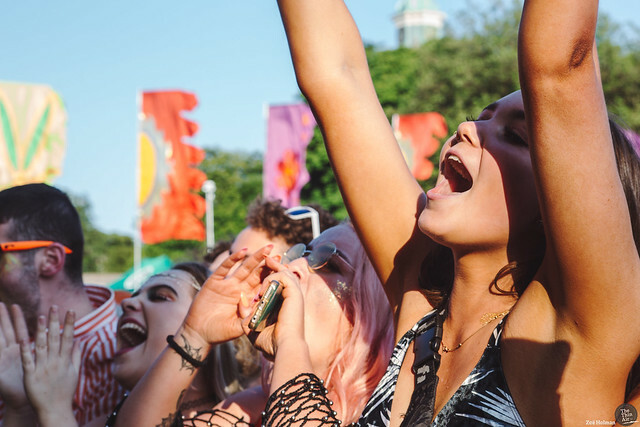 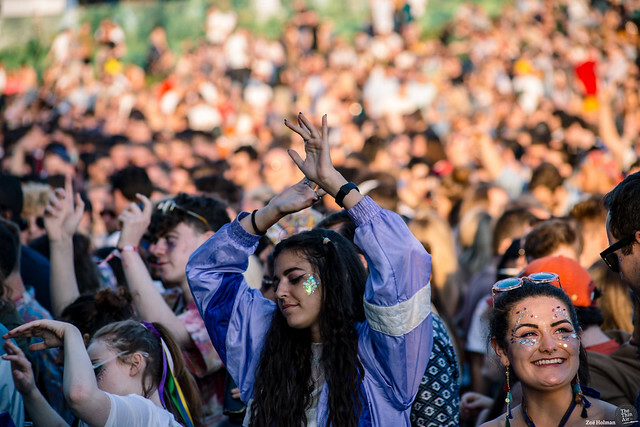 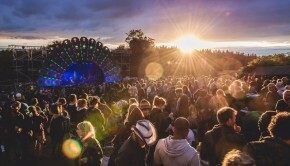 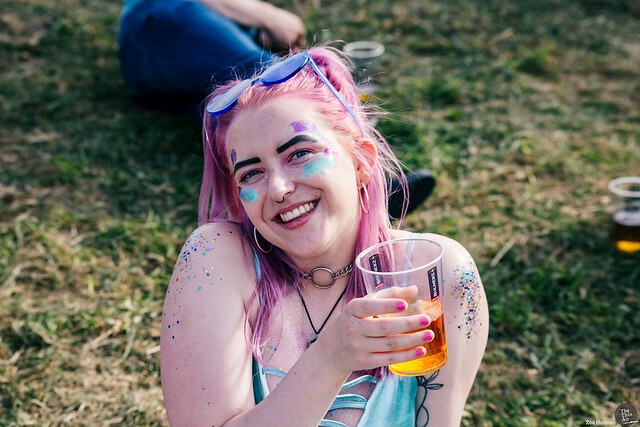 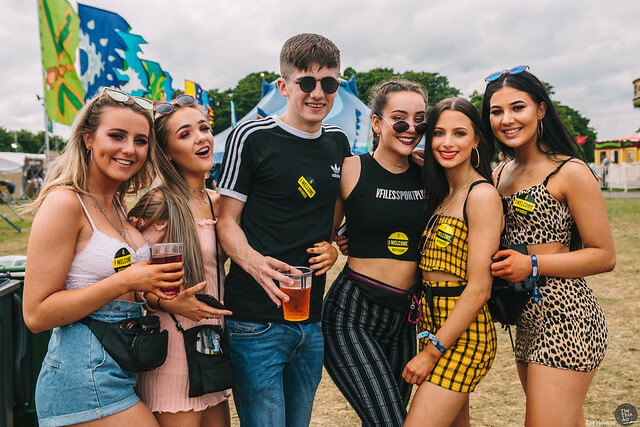 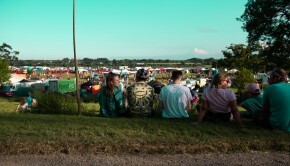 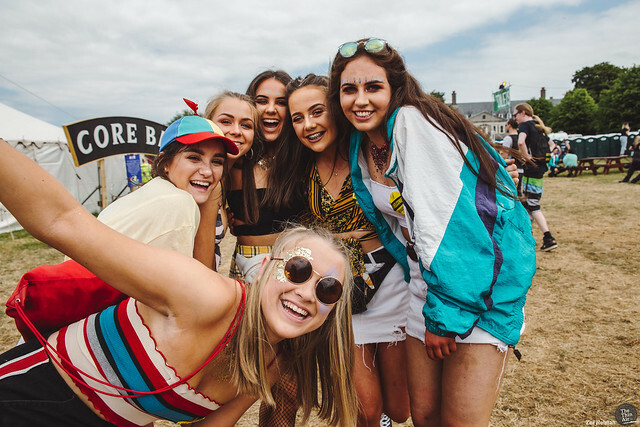 The atmosphere of Sunday was considerably busier – and a little bit rowdier – than the previous day with a lot of teenagers flocking for dance favourites like DJ Seinfeld, Bicep, DJ Deece, Dennis Sulta. 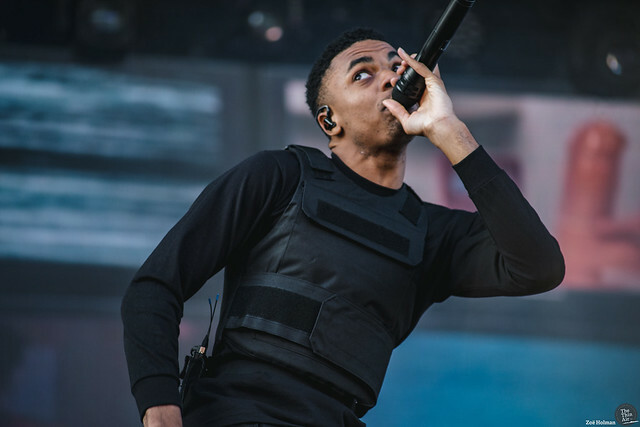 The day started on a slightly messy note, with both Ross from Friends and Earl Sweatshirt announcing last-minute cancellations. 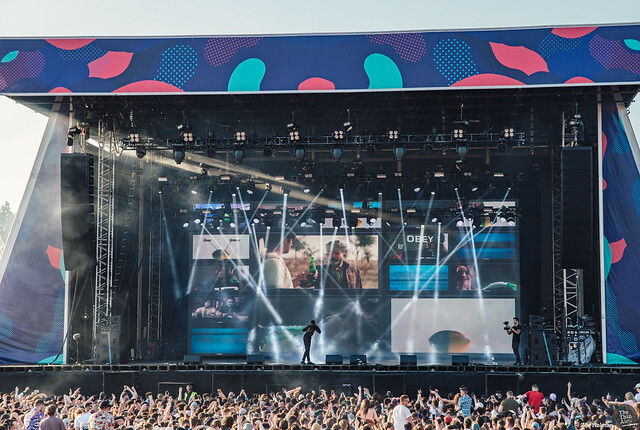 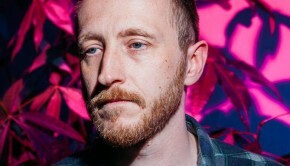 Anyone who decided to wander over to the Undergrowth stage for Bicep’s 9.30 set would have been equally as disappointed – the tent was sweaty and overspilling from Dennis Sulta’s set, with no chance of entry or exit; heat emitting from the tent was like someone had just opened an oven door. 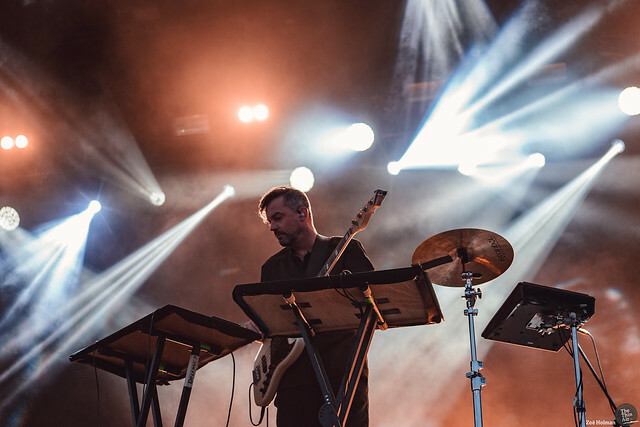 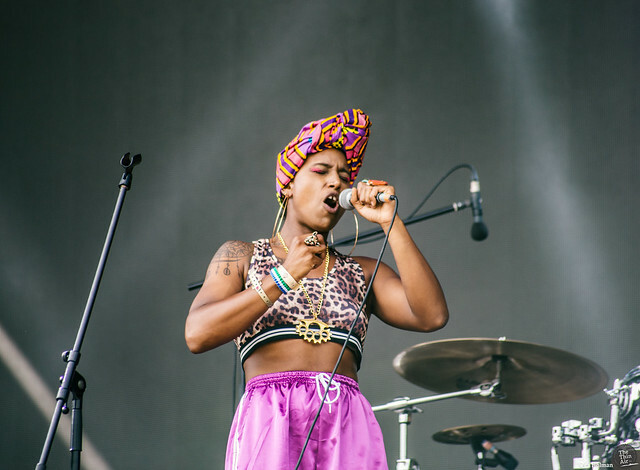 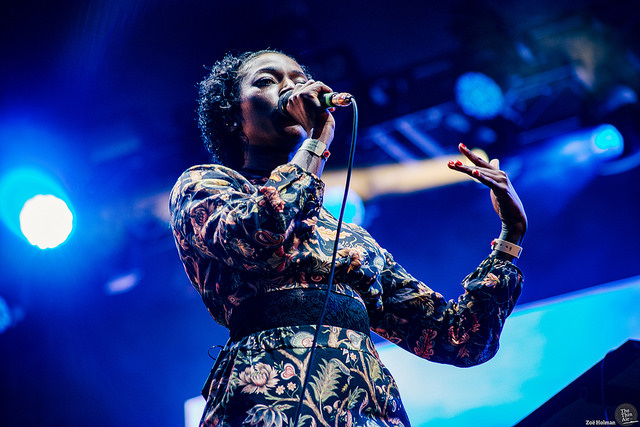 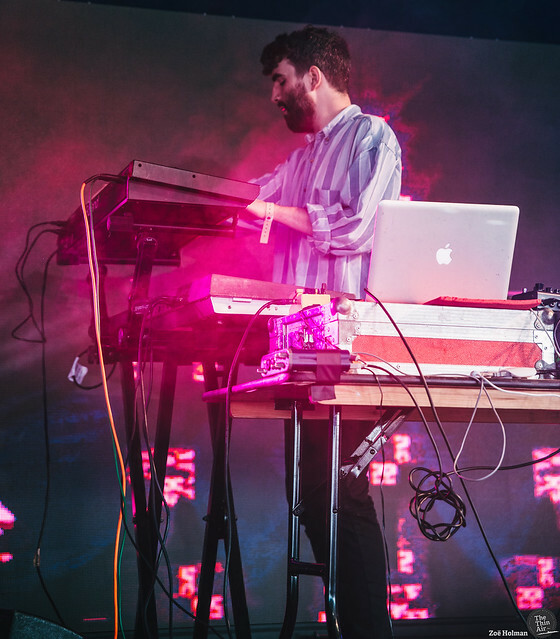 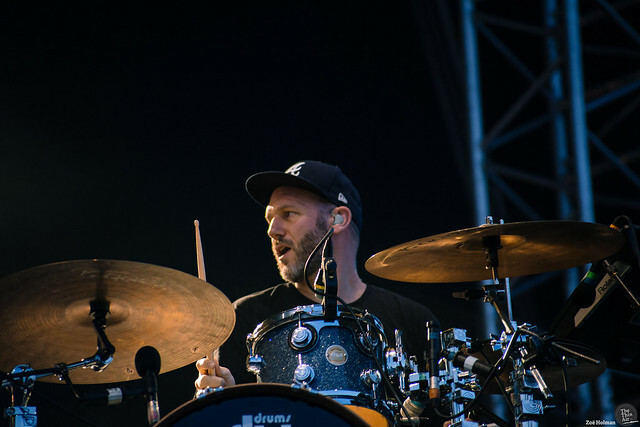 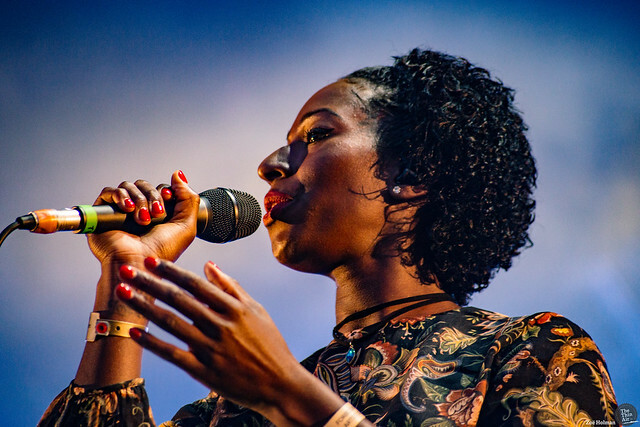 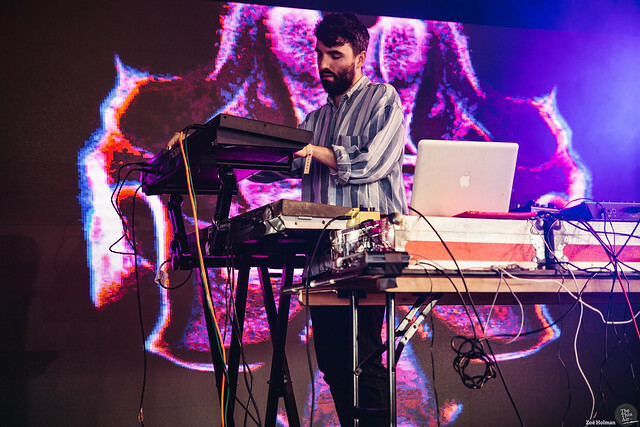 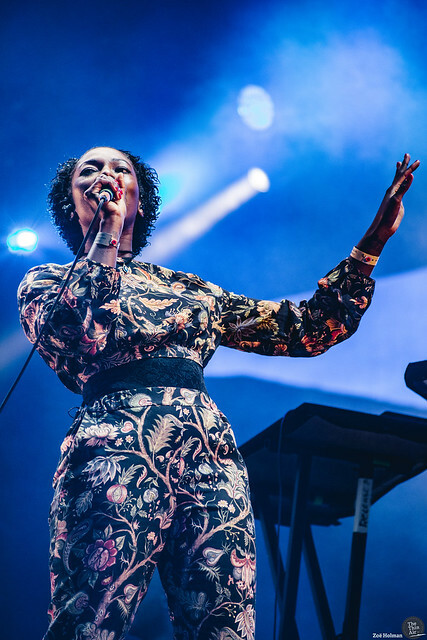 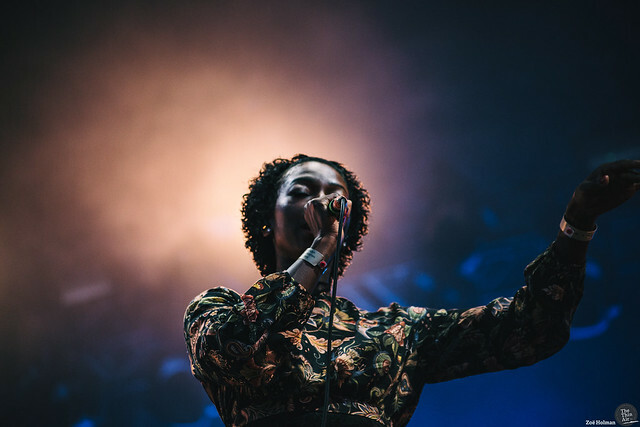 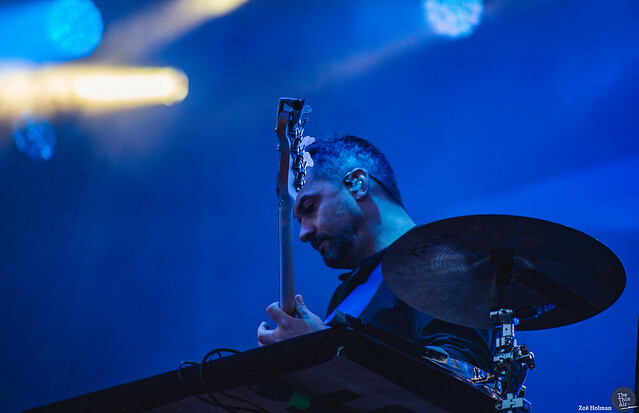 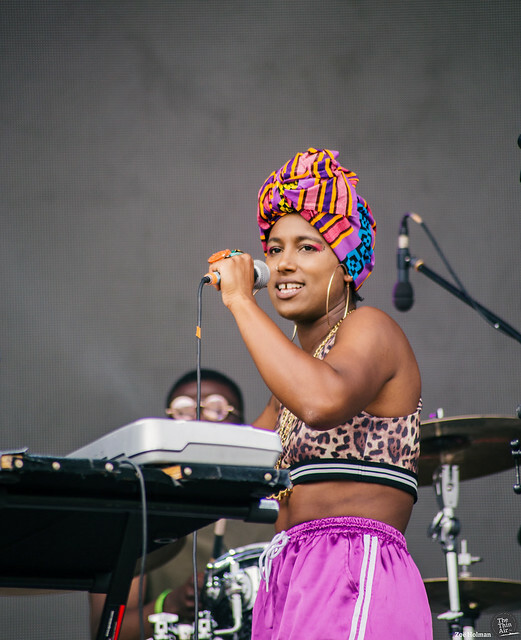 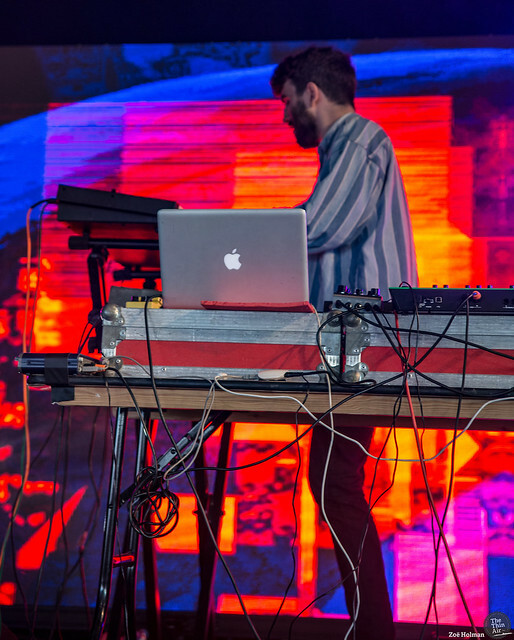 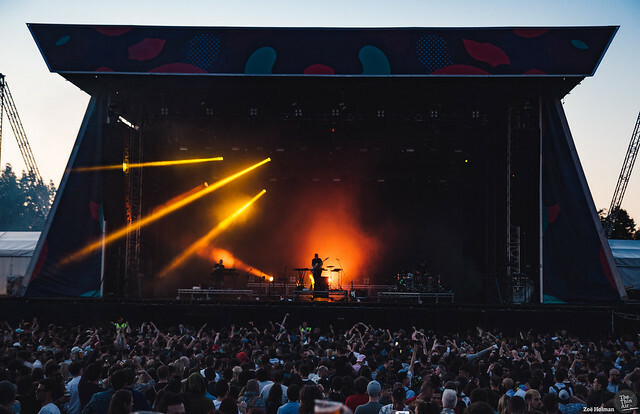 For fans who got in to hear tracks like ‘Just’ and ‘Glue’, it was a hot and sticky party – for the rest of, we had to be content with the grassy hills and Bonobo, on the main stage. 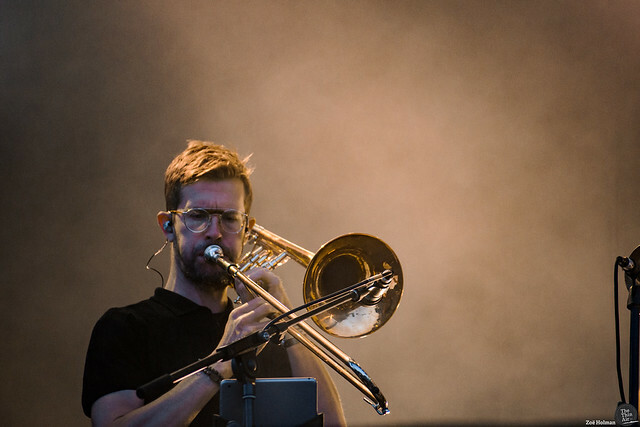 With most of the festival at Bicep – whose popularity must have been underestimated by the Forbidden Fruit organisers – the audience for Bonobo was a little more sparse than it probably should have been for the final mainstage act of the night; it seemed the crowd that had been there for Vince Staples earlier set migrated to the more techno/dance sets when he was finished. 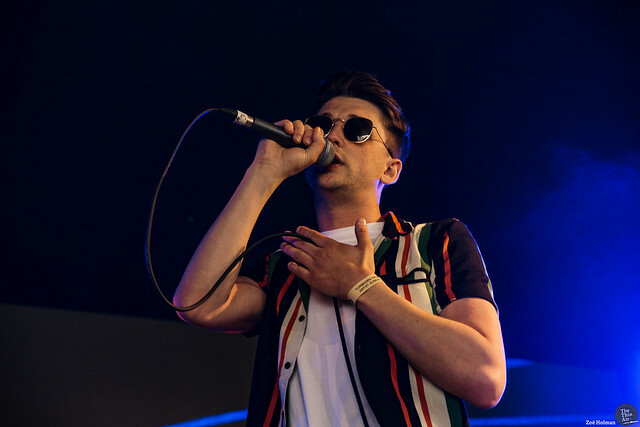 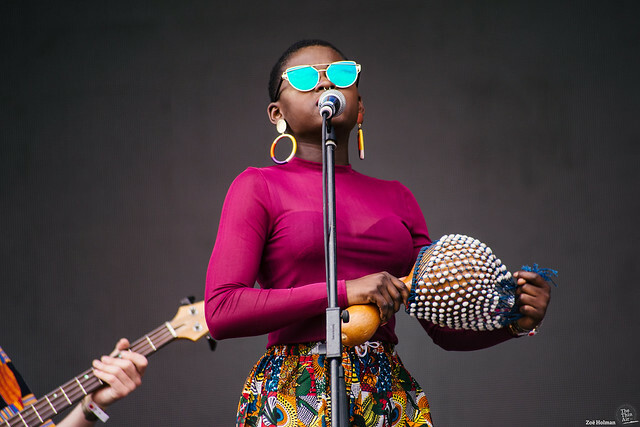 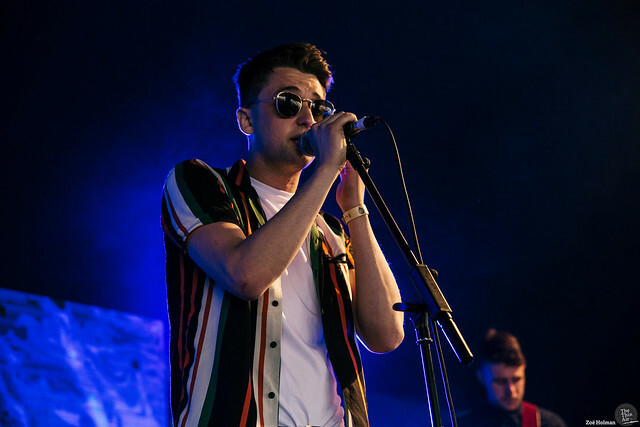 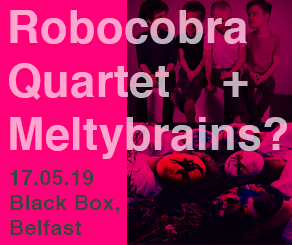 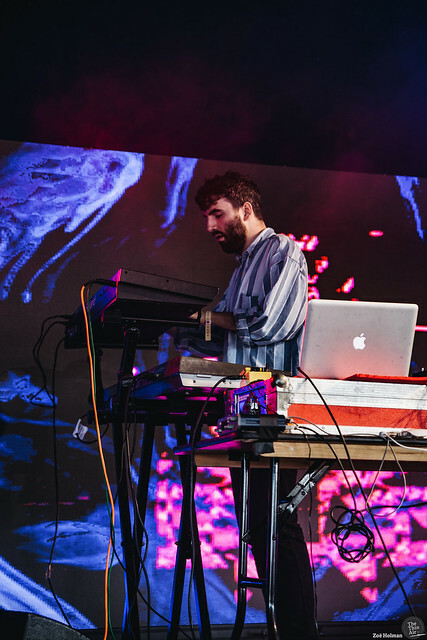 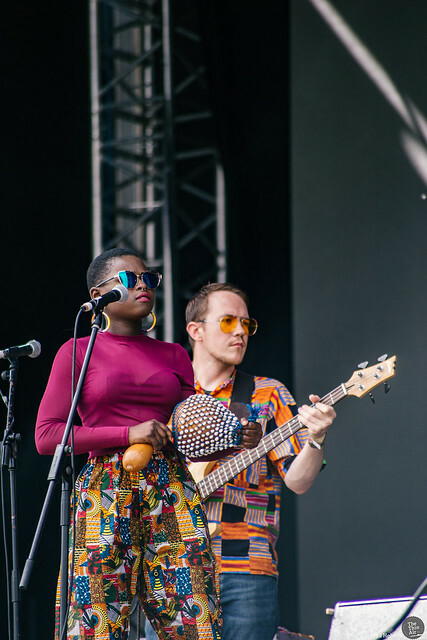 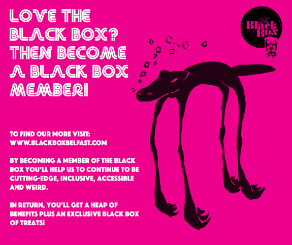 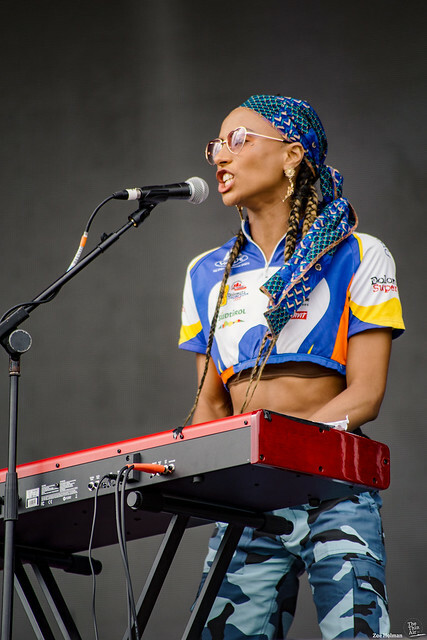 This didn’t distract from their live set however, which started slightly subdued – far tamer than their set at last year’s Body & Soul festival – but gradually picked up the pace, with songs like ‘Cirrus’, and ‘Kong’ being stand out moments. 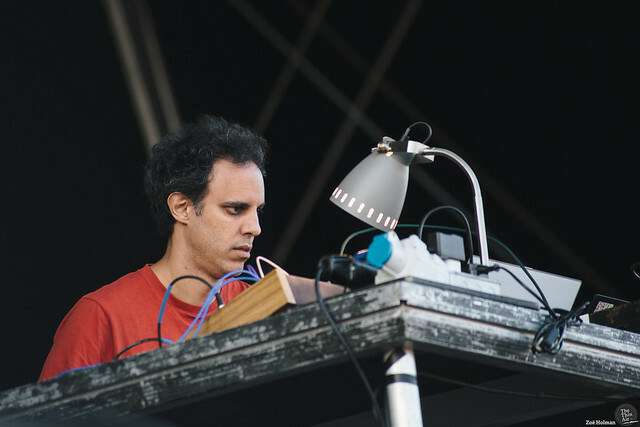 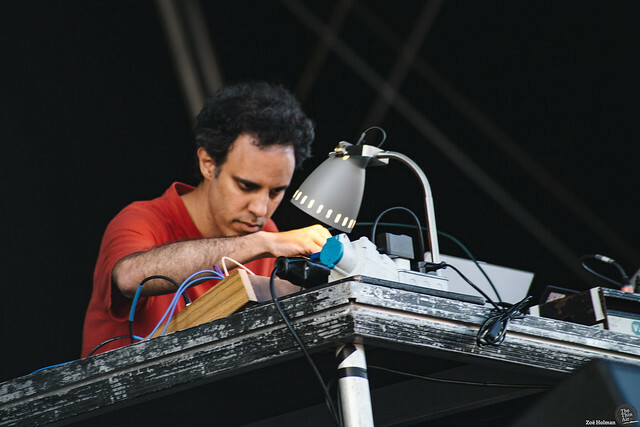 Four Tet’s set had a similar sense of subduity, and compared to the light shows of Saturday’s acts, the lack of lights or visuals during his set was a bit disappointing, and he failed to capture the attention that Vince Staples had stolen from the crowd – it didn’t help that he clashed with both DJ Deece and Dennis Sulta. 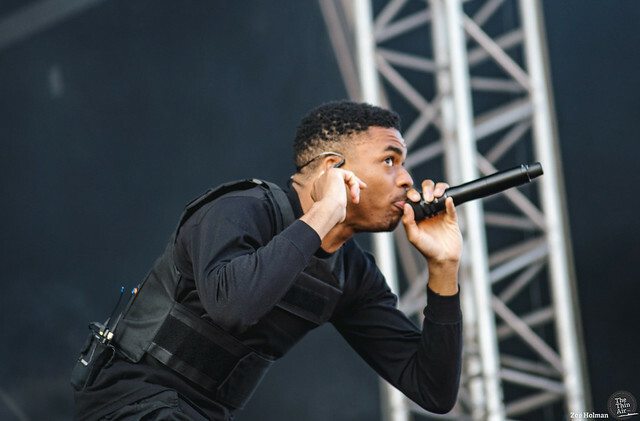 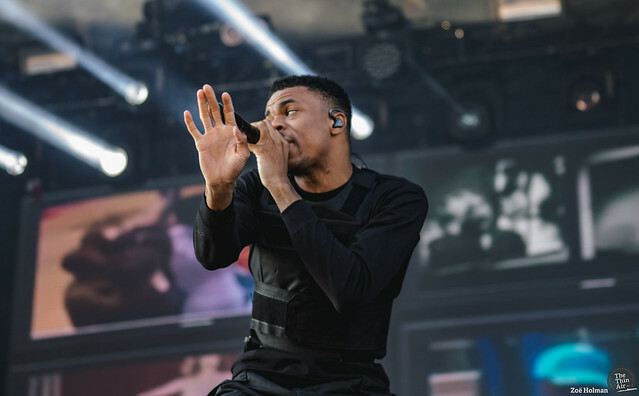 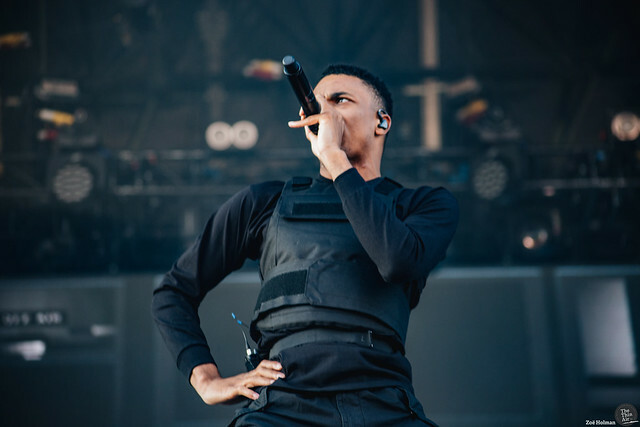 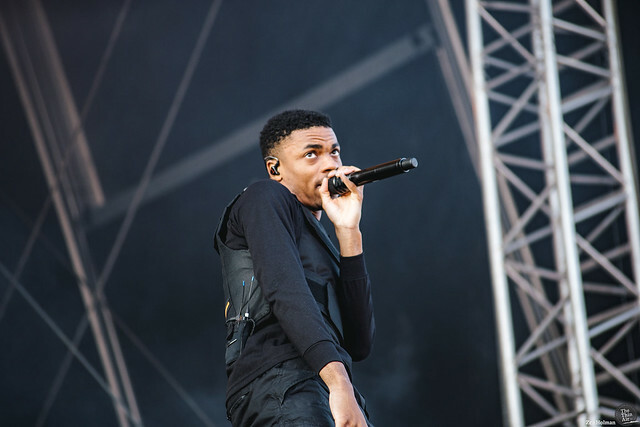 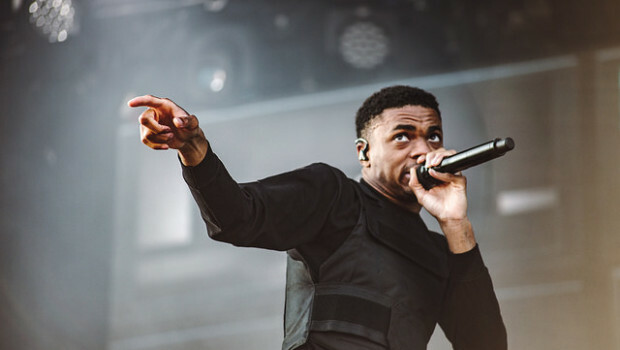 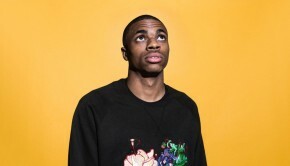 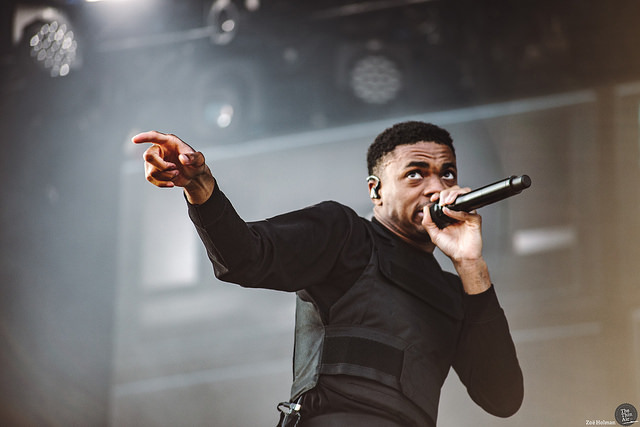 Speaking of Vince Staples, his set was one of the highlights of the day. 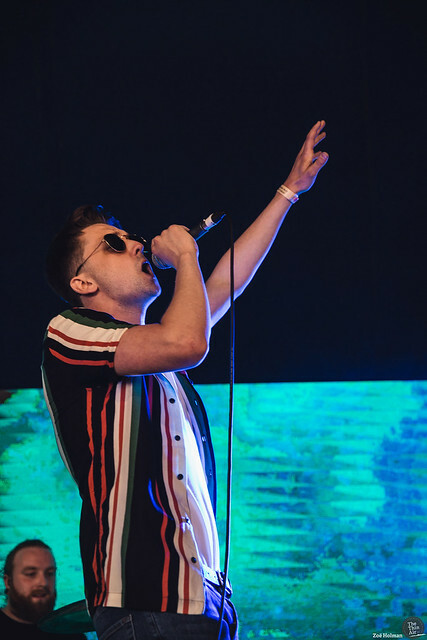 Staples knows how to work a crowd, and able to get the crowd up (after berating all the people sitting down like grandmothers at Woodstock) and dancing to ‘Yeah Right’ and ‘Homage’ – the only problem to be had with his set was that he played 745 at half seven, not quarter to eight.